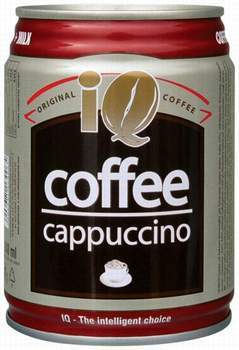 IQ Coffee Cappuccino is the ice coffee of classic Italian coffee flavour and aroma. IQ Coffee Cappuccino is the ice coffee of classic Italian coffee flavour and aroma. With a precisely written recipe, is scent suits the most posh needs. A perfect combination of coffee, milk and chocolate gives you a unique value of IQ Cappuccino.